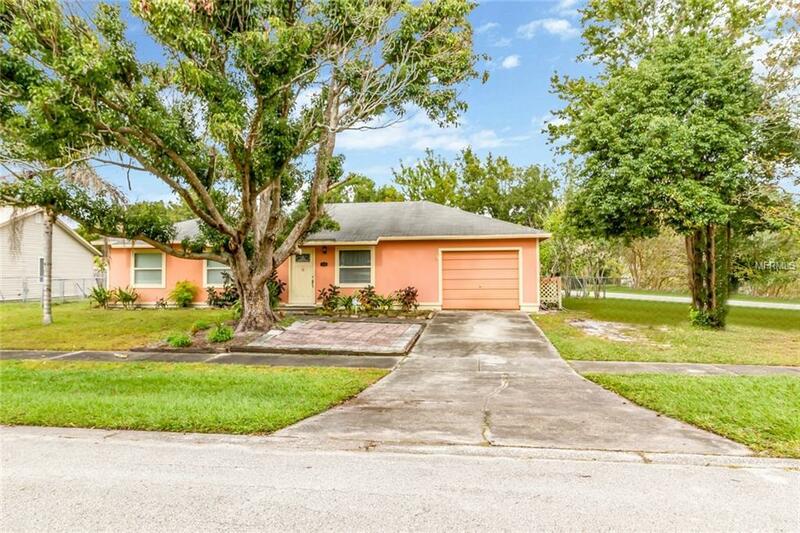 Charming property on a large LOT with a relaxing screened patio overlooking HUGE backyard. Perfect for gardens, and pets. SOME UPGRADES include bathrooms, laminate style flooring, tile and garage has been converted to additional room and storage area. Great Value! Loaded with fantastic custom upgrades! Relax and unwind in your Master Bedrom Suite featuring huge, luxurious whirlpool bath and gigantic walk in closet! Enjoy the King Size Master Bath with heated whirlpool tub, seperate shower, adjoining half bath, AND 16 foot walk-in closet. An awesome kitchen with nice cabinets, countertops, and flooring. Large bonus room, off kitchen, isused as family room, but could be 4th bedroom. Entertain in your screened patio, w/insulated ceiling and tile floor, overlooking large, fenced yard. Great location - corner property on cul-de-sac, close to parks, schools, shopping, entertainment and major highways.